Edelman colleague Steve Rubel and I were interviewed with a host of other active practitioners for Altimeter's latest report on the state of social strategists and to some degree social business in general. Here are a few findings that I thought were interesting as well as a few personal opinions that I have on the findings based on personal experience. 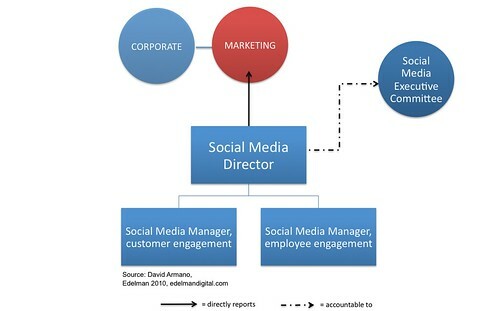 Social Strategists come from a digital or marketing background. While social media is an emerging technology set, most Social Strategists are already seasoned in digital technologies or marketing. Hiring managers sought 6 years in digital or marketing and 3 years experience in social media. I believe this is accurate as the initial wave of social media has been pounced on primarily by marketers who are conditioned to react to the fickle behaviors of consumers especially in the digital space who seem to change user behavior as easily as one would change a shirt. The next several waves will likely see professionals with mixed backgrounds ranging from customer service, to public relations to even HR. But I believe the common denominator will be a proficiency in human to human interaction vs. one way communication. They act more like program managers and resources for the whole corporation. You know that the field is still in in its infancy despite signs of early maturity by the focus on evangelizing initiatives and figuring out measurement vs. implementation of policies and processes which is still low in relationship. Expect this to shift over the next few years as initiatives become integrated and implementation becomes more common across organizations. Their programs are organized into a “Hub and Spoke” formation. The culture of a company directly influences how they develop their organizational formation. Centers of excellence typically reside within the "hub" of the structure and are responsible for cross discipline education, infrastructure (such as policy) and knowledge/best practice sharing across the organization. Once an organization has it's policies and general infrastructure in place, the "center" or hub begins to serve a different purpose. A core team exists primarily to act as a group of "internal consultants" actively working with teams that exist at either the brand or product level where channel strategy and implementation take place. The core team still loops in to a multi-disciplinary committee so that essential practices can be incorporated into initiatives that occur across the entire organization. There are some really great findings in the analysis and the document is worth previewing and downloading if you are working in this space or thinking about it. The overall theme? Social media adoption for organizations is still in its infancy but growing up rapidly.